For a nation famous for producing legions of attacking footballers, Brazilian defenders seem to be in demand in the European club circuit. Danilo Luiz da Silva or Danilo is one more name added to the long list of such players to join the transfer brigade. Real Madrid have pipped their rivals Barcelona in the race to acquire the 23-year old Porto defender for €31.5 million. Danilo's attacking qualities and superb athleticism are an automatic attraction for Los Blancos, who were on the lookout for someone to combine with right-back Dani Carvajal. The Brazilian could come in as a perfect replacement for the aging Alvaro Arbeloa, 32, whose contract is set to expire in 2016. Both Carvajal and Danilo are adept at dribbling, move into forward positions quickly and defend stoutly whenever required to. But how Carlo Ancelotti will accommodate two players of virtually similar profiles and age in a single game is another question. Danilo who spent four seasons at Porto since moving in from his native club, Santos, in 2012, has been one of central figures of the club's defense and responsible for his side's entry into the quarter-finals of the UEFA Champions League. The Porto defender will join Real Madrid in the 2015-16 and will sign a five-year contract that will see him with the Spanish giant till June 2021. Danilo was part of the Brazilian side that won the silver medal at the 2012 Olympics. He was 19 then. 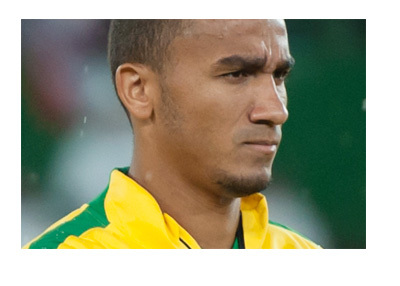 Dunga who took over from Felipe Scolari as Brazil manager after their humiliating World Cup exit, rates the young Danilo highly and has made him a regular in the national team since the time he took charge.